Premium sauce manufacturer Sauce Shop from Nottingham have a proposal to fund their Christmas growth. Earn in 6 months. Paid back in full on 21 Mar 18 1 day early!!! Great Taste Award-winning sauce manufacturer Sauce Shop is growing fast. Owned by husband and wife team James and Pam Digva, they would like you to support their Christmas growth. The company is targeting sales of £25k per month in November and December. This is more than double last year. To fund their raw materials, packaging and marketing costs, they would like to raise £25,000 and are offering repayment plus 9.0% profit in 6 months. The offer is fully backed by 2,500 cases of their delicious sauce and mayonnaise. 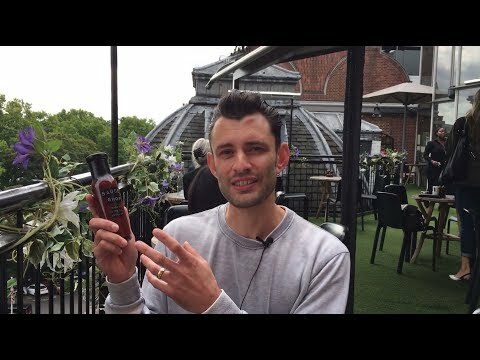 Sauce Shop successfully raised £25,000 to fund the production of 2,500 cases 579 days ago. Check back soon for more offers. James and Pam Digva created the Sauce Shop brand in 2014 to pursue their passion for craft sauces and quality ingredients. Seeing a gap in the market they founded Lacehouse Kitchen Ltd, the parent company of Sauce Shop. Today, three years later, the duo are generating sales of approximately £15k/month. They are selling in Harvey Nichols, Daylesford, Whole Foods, soon in Harrods and are doubling turnover year-on-year. Prior to founding Sauce Shop James and Pam both worked in the food manufacturing business. They saw an opportunity in premium sauces and knew they could do better than the competition! Longer term their dream is to turn Sauce Shop into a global brand. They aim to enter a UK supermarket in 2018 and see export potential. They also added delicious mayonnaise to their product range. Sauce Shop's proposal is to raise £25,000 to repay after 6 months with a profit of 9%. The company will use the funds to deliver "a record-breaking Christmas". Stock will be manufactured to fulfill £20-25k of sales per month in Nov and Dec. 2,500 cases will be made of all 12 flavours. They will also spend on marketing, PR and an extra staff member over the busy time. This will include an entry in the Nottingham Cookbook which will also generate revenue from 200 book sales. Sauce Shop will also have a stand at the BBC Good Food Show in November. The company estimates this may yield additional sales of at least £3,000 above their base-case forecasts. The extra temporary staff will help with production, fulfillment and packing off e-commerce and wholesale orders. The Sauce Shop team will increase to 5. The offer is backed by 2,500 cases of product. This implies a price per bottle of £1.67 compared to £4.50 retail.